Queen’s University Belfast has come together for the first time to run it’s own independent team racing event. Open to all sailors from club racing to international level. There will be a whole days racing with the first race kicking off at 10am and the last around 5pm. The bar will be open and a BBQ social will follow. This intends to be an original and sociable event aiming to encourage team racing among all levels in Northern Ireland by exposing sailors to international jurors and team racing tactics. Entry fees are to follow. 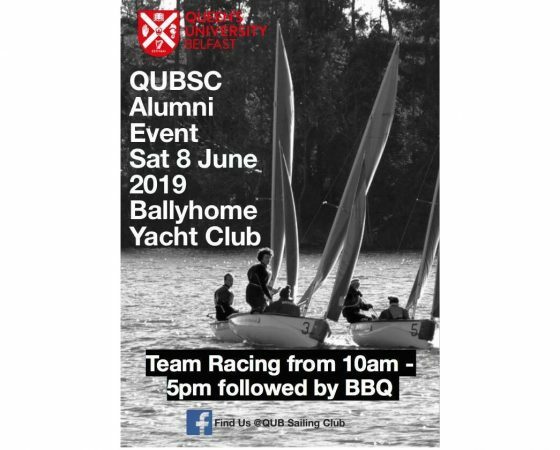 To register a team of 6 please email sailing@qub.ac.uk with an appointed team captain to reserve a place. Team numbers are currently limited so unreserved places will be appointed on a first come first serve basis.